The Nfinity® Classic Backpack is the perfect lightweight bag to get you through the rigors of school to traveling on the road. 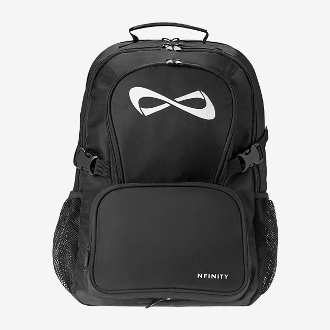 This sleek pack features padded shoulder straps, 4 compartments perfect for holding your Nfinity® Shoes, a padded laptop sleeve, and a super convenient detachable purse with a great space to customize and share your team sprit. Talk about the perfect bag! *in-house customization not available.